Marina Bay Sands (MBS) and Genting Singapore have committed an estimated $9b in non-gaming investments in an effort to remain competitive with other destinations in the region, and bring in more than half a million additional visitors annually, an announcement by the Ministry of Trade and Industry (MTI), Ministry of Finance (MOF), Ministry of Home Affairs, and Ministry of Social and Family Development (MSF) revealed. The two integrated resort (IR) expansions are said to create up to 5,000 new jobs. 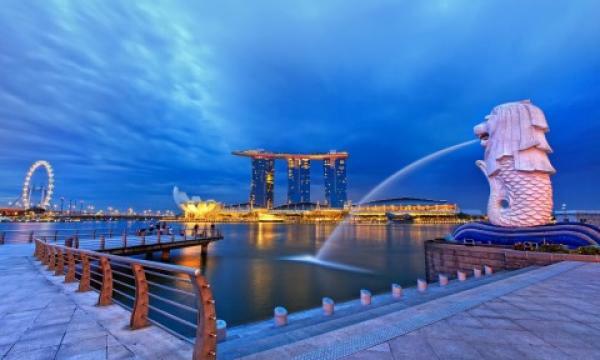 MBS will add to the Singapore skyline by constructing a new fourth tower adjacent to its existing three towers. “The centrepiece of the expansion is a 15,000-seater state-of-the-art entertainment arena, which will host a mix of A-list artistes and events arising from MBS’ proposed collaboration with entertainment content providers,” the agencies added. The expansion will also include a luxury all-suite hotel with approximately 1,000 rooms, topped with a sky roof. There will be additional meetings, incentives, conferences and exhibitions (MICE) space for hosting world-class exhibitions and conventions. The firm’s indirect wholly-owned subsidiary Resorts World at Sentosa (RWSPL) entered into a second supplemental agreement with Sentosa Development Corporation (SDC) to amend, vary and supplement the development agreement entered into between RWSPL and SDC on 1 March 2007, a statement revealed. The development agreement was sealed in 2007 in relation to RWSPL's construction, development and establishment of the IR on the island of Sentosa. Under the second supplemental agreement, RWSPL will undertake the expansion of the IR over an expected period of five years. The project will include expanding Universal Studios Singapore, with two immersive environments Minion Park and Super Nintendo World, expanding the S.E.A. Aquarium to be re-branded as Singapore Oceanarium and converting the Resorts World Theatre into a new Adventure Dining Playhouse. 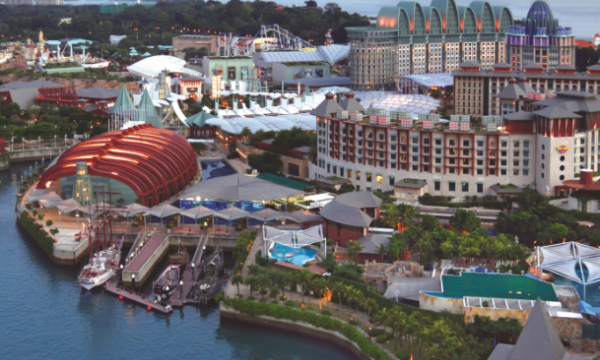 Likewise, it will expand its in-resort accommodation with up to 1,100 more hotel rooms at a new waterfront lifestyle complex and within the central zone of RWS, and develop a driverless transport system (DTS) to enhance last-mile connectivity and bring greater footfall to RWS and the rest of Sentosa Island. Gross gaming revenue is subjected to casino tax rates of 5% for premium gaming and 15% for mass gaming. After the expiry of the current moratorium in February 2022, the government will introduce a tiered casino tax structure with higher tax rates, along with a new 10-year moratorium. Following the announcement, Genting Singapore faced a heavy selloff as its shares dropped 7.94% at $0.985 as at 12:06 p.m.